I have been in New Zealand for seven weeks now and I am feeling more at home each and every day. Since my last post, I have done and seen so many things and I cannot wait to share them with you. 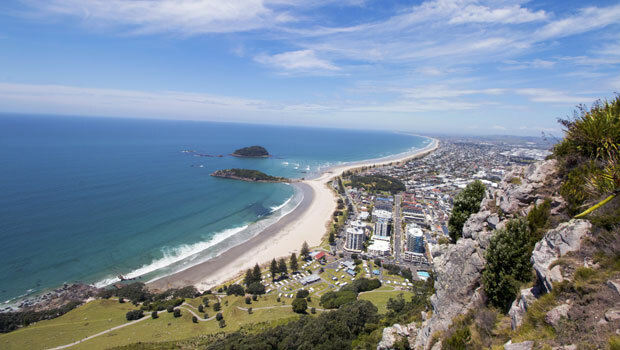 The view from Mount Maunganui Summit, Tauranga, Bay of Plenty. It has been almost six weeks since my last post and there is a lot to write about. But I will start off by saying that driving on the other side of the road (and the other side of the car) is a lot easier than I thought it would be! When I got into the car for the first time in New Zealand, I was terrified. I couldn't even find the turn signals! Everything is completely opposite what I'm used to and it took a couple weeks for me to feel confident behind the wheel, but I am so happy that I decided to get in the driver's seat as soon as I did. It still takes a lot of thought when I'm coming up to intersections, but I'm getting the hang of it. When I came to New Zealand, my biggest fear was not having any friends my age. Making friends has been one of the easiest parts of moving away! There are so many young people from all over the world doing the same thing as I am, and I have clicked with a quite a few. 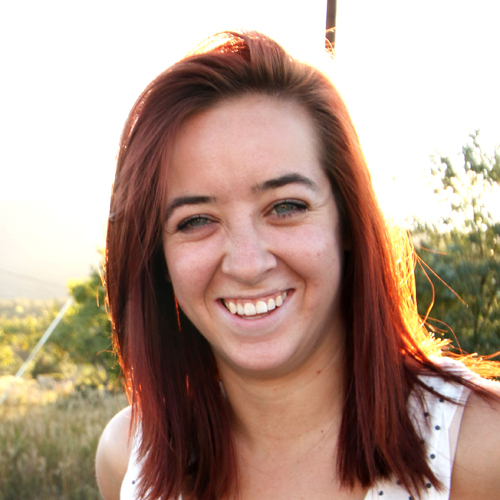 It took me a month to meet anyone other than the travelers I met at my au pair orientation. But now, I have a lot of traveling buddies to explore this beautiful country with! All the friends I have made are also au pairs, so it's nice to have other people in the same area of work as you. 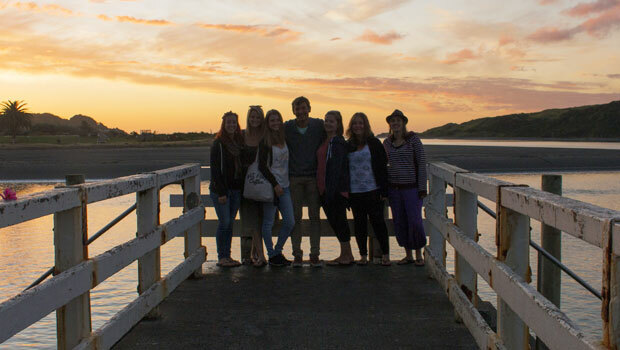 Enjoying the sunset with friends in Raglan. I have been to Auckland, Devonport, the Coromandel, Hamilton, and Raglan so far on my travels. My next stop is Rotorua to go zip lining! My favorite stop has been Raglan by far. 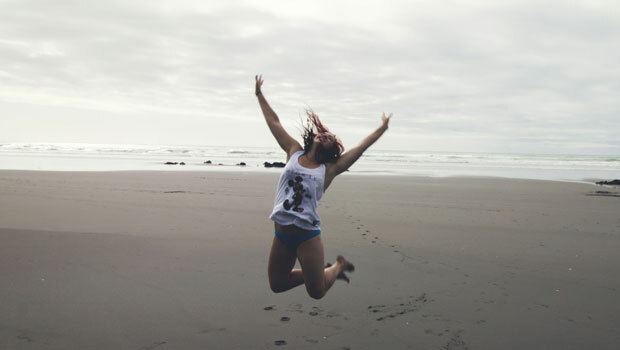 I explored my first black sand beach, jumped off a bridge, slept at my first hostel ever, made some new friends at the Raglan Club, met a professional surfer, and watched a beautiful sunset, all in about 24 hours. I never could have dreamed of doing these things back home! I was stuck in a rut at home; doing the same thing every day and never stopping to think about the many places I haven't seen. This experience taught me that it was time to explore! Enjoying Ngarunui Beach in Raglan. Being an au pair has been very different than what I was used as a nanny. It's taking some time to feel completely comfortable in my new home, but I am definitely getting there. My host children are starting to feel more relaxed with my being around all the time and I am starting to understand my obligations and expectations more. For anyone that loves children and is looking for a way to see a new part of the world, I would definitely suggest becoming an au pair! You actually become part of the family and get to learn all about a different culture.